It can be difficult to know whether you are experiencing allergy symptoms or if you are getting a cold. It’s important to recognize the differences and know exactly what you have in order to properly medicate and find relief. 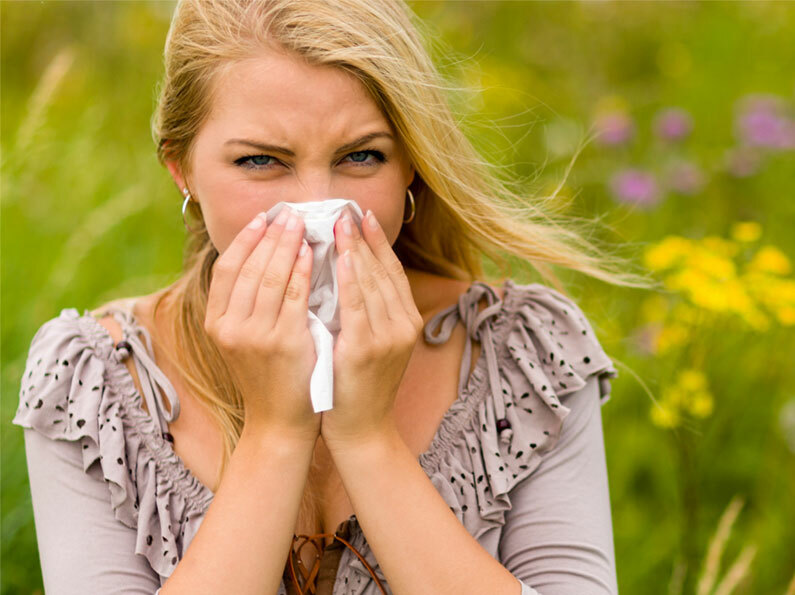 There are several differences between colds and allergies. Both can occur anytime of the year, but colds are more common in the winter months. Spring, on the other hand, is notorious for the onset of allergies. Symptoms of a cold take a few days to appear after the initial infection, but allergy symptoms can start immediately after contact with an allergy trigger. However, only a cold can cause a fever or body aches and allergies are more likely to blame if you have itchy or watery eyes. Colds usually don’t last more than a few weeks, whereas if you’re suffering from allergies, symptoms will remain until the allergy trigger is gone. There are plenty of over-the-counter options available to treat allergies. The trick is to find the right product for your allergy symptoms and begin treatment before you start to experience them. Nasacort and Flonase nasal sprays are available without a prescription and are effective at treating inflammation involving the nose. They help decrease sneezing, runny nose, and sinus pressure symptoms. Oral anti-histamines, such as Benadryl and Zyrtec, help by decreasing your body’s response to allergens and can be taken alone or in combination with nasal sprays. Eye drops are also available and can help by washing out allergens from the eyes or provide relief to dry itchy eyes. At both of our pharmacies, we stock a wide-range of over-the-counter allergy products and can help you to find the right product to treat your symptoms.